Filter Sand is a properly graded and dried sand. It is designed to be used in swimming pool, water & waste water filtration systems, . This filter sand also features a tan color. Narrowly graded, clean, dry sand. . Rapid sand filtration is a purely physical water purification method. Rapid sand filters (RSF) provide rapid and efficient removal of relatively large suspended particles. Two types of RSF are typically used: rapid gravity and rapid pressure sand filters. Filtering water through a layer of fine sand is one of the oldest forms of filtration. Dirt particles in the water are trapped and held in the very small openings between the grains of sand. This process of coagulation enhances the filtering efficiency of sand in capturing very small dirt particles. High-rate sand filters have a filter rate of 15 to 20 gallons per minute per square foot of filter area. They also work on the basis of depth filtration. The dirt removed from the water is not collected on top of the sand bed, but is driven into the sand bed by the high velocity of the water. 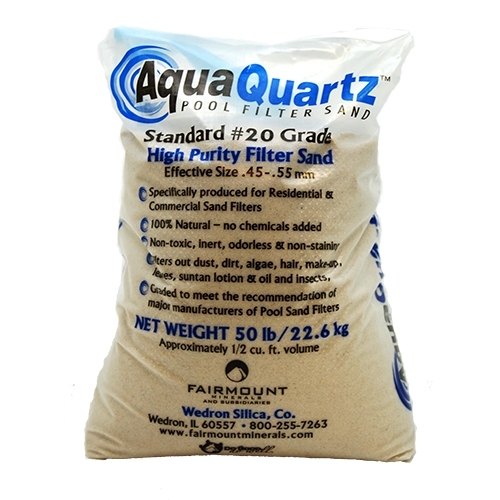 In a typical pool filter, the primary dirt load is confined to the top 2-4” of the sand bed. In a high-rate sand filter the dirt is collected through the total depth of the sand bed. Green Water Concepts India Pvt. Ltd is one of the largest suppliers of filter sands of different grades across Kerala.